I’ve known Profeet – either via Natives or Skipedia – since they were founded by Hamish Wolfenden in 2001. While I’ve tried out their Run Lab several times, it was only last month that I first experienced the ski boot fit service. I can’t believe I waited so long! I worked my lastski season in 1996/97 and at the end of that winter decided to treat myself to a new pair of boots and I’ve been using them ever since. Work and family commitments mean I have been skiing 10-15 days each winter, and while I knew that ski boot technology had improved, my boots seemed comfortable enough, so I didn’t see any reason to change. But this summer I went to Les 2 Alpes on a press trip. 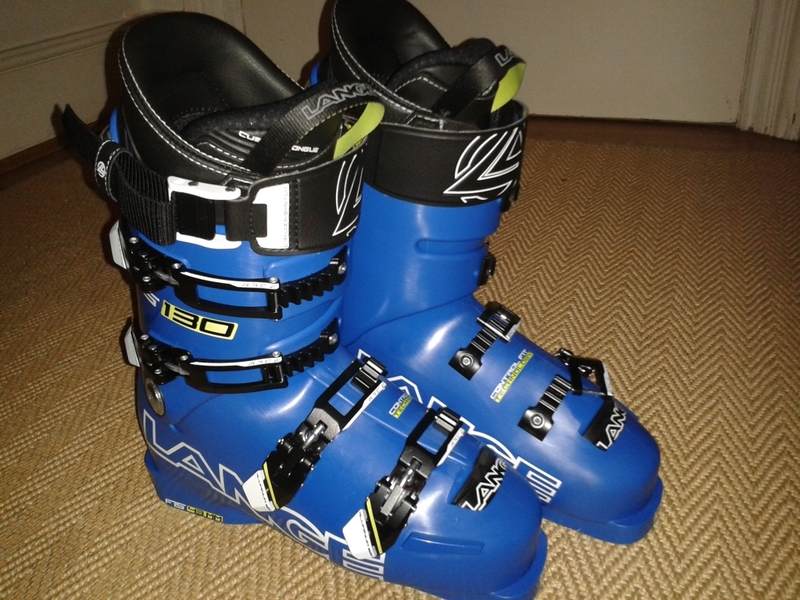 With only half a day of skiing scheduled I left my boots at home: a hire pair would be good enough. They were more than good enough: it was a revelation! My own boots were not comfortable at all. What had I been thinking? Sometimes you get so set in a way of doing things, you assume it’s right. I was completely wrong and it was time for a trip to Profeet to upgrade. My visit started with by filling out a short form. What level skier was I? I plumped for ‘Level 9’ as it only asked if you could ski ‘any run, any day’ rather than how well you could ski them. Janine – Profeet’s Ski Manager – asked me about my preferences for Alpine v. Hike n’ Ride, a category of boots that gives more flexibility for backcountry treks. I checked my desires against reality and suggested an Alpine boot sounded best. The next step was measuring my feet. It’s rare for both feet to be the same length and my left was the longer. Apparently my ankle flexion is good, but the collapsing arch on my right foot didn’t sound too promising. Having inspected my feet and concluded that I have ‘hollow’ shins (technically ‘tibial varum’) Janine pulled out three ‘low volume’ options for me to try – the K2 Pinnacle 130 LV, Salomon Xmax 130 and Lange RS 130. All were Mondopoint 27, although it turned out from talking to Janine that 27 and 27.5 are actually the same size, only with thicker or thinner insoles. Apparently Atomic will be phasing out the 0.5 option soon for this reason. I tried each pair on while Janine did a shell check without the liner in to see how much space there is for my leg. ‘Any boot fitter who doesn’t do a shell check is not doing their job properly,’ Janine told me. Next step was to try the boots on ‘properly’. No wonder my previous boots had been so uncomfortable – I’d been cranking up that 3rd buckle – squishing my foot. Both shells fitted well, apart from some pressure on the outside of my right foot. It turned out that this is a well-known feature – the worrying-sounding ‘sixth toe’ or ‘Tailor’s Bunion’. With one boot on either foot it was time to try them on skis. Having tried all three boots, I strongly felt that the Lange’s were the right choice. It wasn’t that I’ve been wearing Lange for the last 17 years, or that I liked the colour (Janine’s rule: ‘I try not to talk about colour!’), but simply because they felt so comfortable straightaway. The decision made, it was time for insoles. 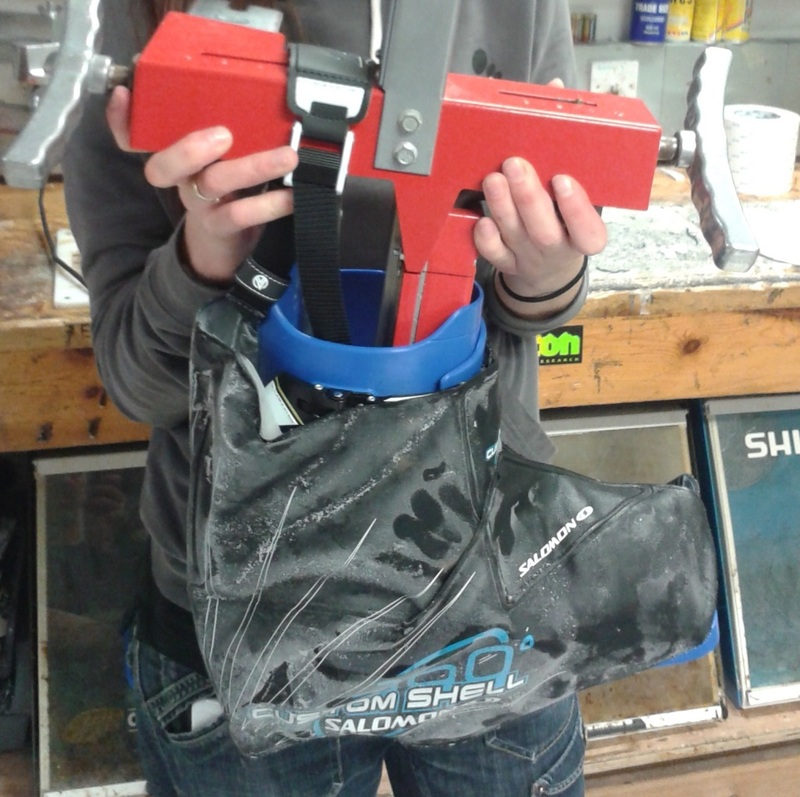 Profeet’s ski boot fit includes custom insoles, moulded to fit your feet perfectly. 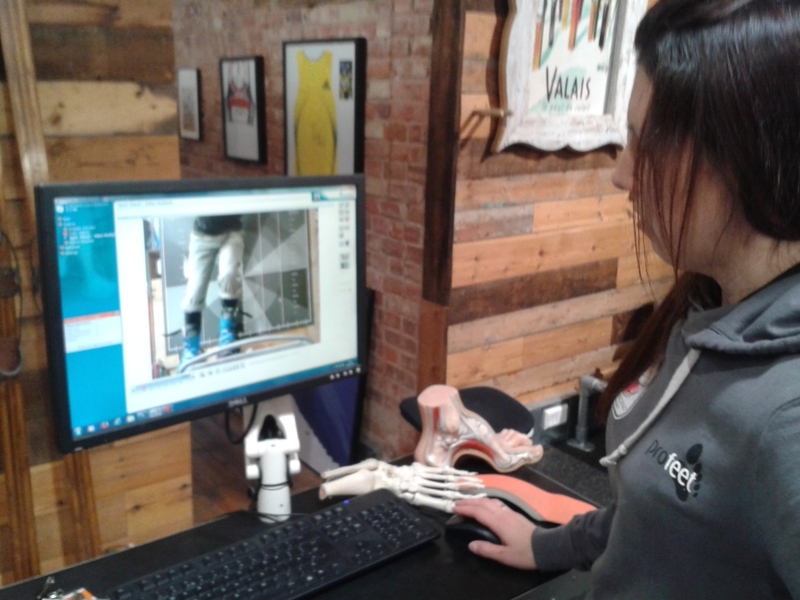 The customisation process starts with a foot scan. Having tested my pressure distribution standing normally and then in a ski stance, Janine looked for any changes in pressure points that might mean require specific adaptations to the footbed. The structure of ski footbeds is completely different from the run versions Profeet use. SIDAS make their footbeds to their own custom design, created by their podiatrist Paul O’Malley. The footbeds are moulded to the shape of your feet as you stand on a warm, jelly-like tray. So with the boots and insoles ready and having decided that a custom foam liner wasn’t necessary – as the boot was such a comfy fit already – we just needed to adjust for my sixth toe. ‘Lipstick is the best bootfitting tool ever,’ Janine reassured me, as she daubed my foot with red lippie. It all made sense when I put my foot back in the empty shell and the lipstick marked the inside of the shell in exactly the right place where the widening was needed. We moved over to the Ultracam machine – where Janine first used a heat gun to warm up the shell before shaping it. It was then packed into a special Salomon ice bag and put it in the freezer to cool down and ensure the changes were permanent. Finally we heat-moulded the liner to break the boot in. Janine then took a look at my alignment and technique on their Skier’s Edge ski training machine. My alignment wasn’t too bad, but she was still able to give me some specific stretches to work on to give the extra flexibility to get the most out of my time on the slopes. And that was it. Out with the old and in with the new. Previous postNew French/English 'Ski Instructor' Phrasebook Next postYou can't buy happiness, but you can buy a ski holiday.